J&B Rare is one of the highest selling Scotch whiskies in the world. Its key markets are in Southern Europe, South Africa and the United States. Long-established London wine merchants Justerini & Brooks introduced J&B Rare in 1936. Charles Guttman (1893 – 1969) of the Paddington Corporation was the United States distributor, and he initially established the brand in the New York area. An export only brand, J&B Rare was designed to appeal to the American taste for rye whiskey, with a straw-gold body, and a light, smooth, delicate character. Back in London, Justerini & Brooks merged with Twiss, Brownings & Hallowes to form United Wine Traders in 1952. Abe Rosenberg (1908 – 1985) became a partner in the Paddington Corporation from the mid-1950s, and he began to expand J&B Rare distribution outside of its New York heartland into the wider United States. J&B Rare would compete fiercely with Cutty Sark, another Scotch whisky tailored for the American market which had been introduced by Berry Brothers, wine merchants of London, in 1923. United Wine Traders merged with Gilbeys to become International Vintners & Distillers from 1962. Gilbeys’ strong international distribution network helped to establish J&B Rare in Australia, New Zealand, Canada, South Africa and Ireland. Blended and bottled at Strathleven, near Glasgow, J&B Rare commanded a slightly higher than average price. J&B became the highest selling Scotch in the United States, with one million cases exported in 1962. A large proportion of sales were still made in the New York area. Two million cases of J&B Rare were exported to America in 1967. J&B Rare was exported to 84 countries. 2.7 million cases of J&B Rare were sold in 1971, accounting for a substantial 55 percent of IDV profits. 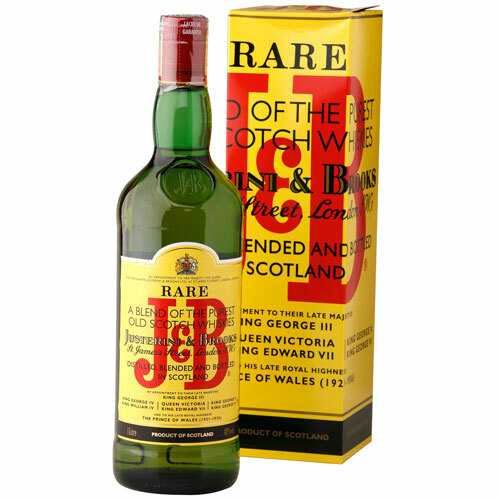 J&B Rare was the highest selling Scotch in America in 1974, followed by Cutty Sark, Dewars and Johnnie Walker. Rising sales of J&B Rare helped to make Grand Metropolitan the second largest distiller of branded Scotch whisky in the world by 1977. J&B had ten percent of the global Scotch whisky market. Justerini & Brooks were awarded with a Queen’s Award for Export Achievement in 1978. In 1983 J&B Rare contained up to 50 percent malt whisky, similar to Johnnie Walker Black Label. J&B Rare was the second highest selling Scotch whisky in the world by 1988. J&B Rare was the highest-selling Scotch whisky in Spain by 1990. The heart malts in the blend are Knockando, Auchroisk, Strathmill and Glen Spey. Jack Daniel’s was a small American regional brand through the 1950s and much of the 1960s. But it landed on the radar of Hollywood stars, including Humphrey Bogart’s Rat Pack. The famous, simple monochrome adverts were first introduced in 1954. By 1980, 3 million cases were shipped. “Jack” has always been marketed as a premium product. Marketers remind us that the product is not bourbon, but “Tennessee whisky” that is filtered through maple charcoal. Originally, there were two main Jack Daniel labels: black (the famous one) and green. Although both whiskies were aged for at least four years, Black Label had a higher ABV content of 45% versus Green Label’s 40%. Black Label was reduced to 43% in 1988. 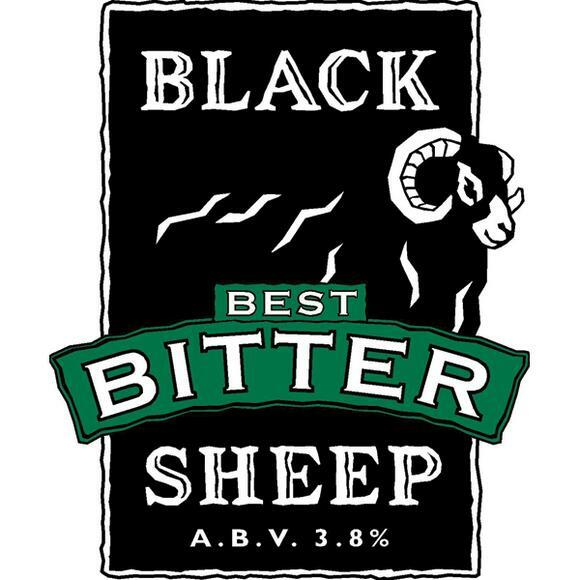 Green Label was later delisted, and Black Label was further reduced to 40% ABV. So Black Label essentially became Green Label, but with no corresponding price reduction! The success of Nespresso, appears to me, to be an instance of style over substance. The product is quick, and clean, but relatively expensive, and in my opinion, the quality of coffee that emerges from the collaboration between pod and machine is no better than, or even inferior, to cafetiere coffee, and even my regular Douwe Egberts (freeze-dried) instant coffee. Although apparently a 27 year old technology, the product only seems to have taken off in the last few years, spurred by an admittedly slick campaign fronted by George Clooney, gentleman cad. Seldom has a celebrity face been used so effectively in order to sell a product. But it should be borne in mind that Nestle thought it would be a good idea to market Nescafe in the early 1990s with suave and charming ladies man of the moment, Anthony Stewart Head. The Head associtation is now embarrassing. This is a potential problem if you (like Nestle have) invested heavily in your brand as a luxury product. Ten years from now, Clooney may well seem uncool. Hence, your brand seems uncool. Heavily associating your brand with just one individual (no matter how rugged) can damage your brand in the long run. Another expert wheeze has seen Nestle severely limit the number of “boutiques” that sell the product. Scarcity makes the product seem special: never underestimate the stupidity of the crowd. The large Nespresso shop frontage on Regent Street is a work of marketing genius. Sell coffee pods as luxury product. with a corresponding premium price. People may laugh at a monkey hand puppet being used to sell PG Tips, but Clooney is being used to sell a product that is frankly as much use as a chocolate tea pot, for triple the price of regular freeze-dried coffee. The notion of craft and premium quality food and drink did not arise from the ether. In this post I attempt to trace its roots in recent history. With the end of post-war rationing in Britain, a range of super-premium restaurants with a focus on local provenance opened in the North West of England. Beginning with Sharrow Bay in 1960, they catered to a very small segment of the population, and furthermore, the occasional visit to a high quality restaurant did not equate to a national lifestyle change. But the growth did indicate a desire for authentic, quality food. The late 1970s and 1980s saw the growth of the real ale movement, which advocated small scale production, localness and traditional production methods. But the provenance doesn’t even have to be your localness: just provenance in general seems to suffice. One had only to witness the growth of Whitbread’s Stella Artois in the 1980s and 90s, a beer marketed with French language advertisements, despite being brewed in the UK, and with origins in Flemish speaking Belgium. Another interesting example is Jack Daniel’s whisky. With a monochrome label and adverts, the product was able to successfully foster a small scale image, “craft” image. This consumer “backlash”, as it were, stems from a new-found consumer cynicism. The consumer knows that most products they buy in their supermarket are owned by multi-national conglomerates. Many people do not like giving their money to perceived faceless corporate entities. Any product that seems to defeat or circumnavigate this system, and treat the consumer like an adult, seems to be on to a winner. People will pay far more than net worth for a perceived craft product because it makes them feel good for two reasons: supporting local or craft production, and avoiding the multinationals. I don’t think this applies to the whole population, but I think it applies to a good number. 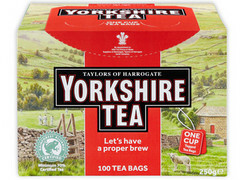 The examples are endless, but I will give just one more: Yorkshire Tea. The name “Yorkshire” implies traditional craft methods and localness. The name isn’t faceless and bland like competitor brands PG Tips and Tetley Tea. The brand wears its provenance proudly, and isn’t ashamed of its local origins. The brand came from nowhere in the 1990s to becoming the third highest selling tea brand in the country by 2007. It wasn’t until 2000 that it became a nationwide supermarket staple. The brand has a surprisingly modern heritage: I doubt that many of its consumer base would estimate that the brand was only launched in 1977. Meanwhile rival brands such as PG and Tetley patronised the audience with television adverts that starred cartoon characters, chimpanzees and monkey hand puppets. The consumer goods advertising market has matured. Treating consumers like idiots works far less well than it used to. Consumers appreciate being treated like human beings. The premium/provenance market shows little sign of slowing. Borough Market in London is now firmly established as a destination for quality food with provenance. The celebrity chefs have long promoted locality and quality. Farm shops are now ubiquitous in many English villages. Craft brands need to be careful to maintain their image. Stella Artois sold for the same price as other premium lagers, despite its slogan of “Reassuringly expensive”. Consumers get wise to a brand that seems inauthentic, and it irritates them as an insult to their intelligence. Stella is now, frankly, a commodity lager, and its premium positioning has largely been given over to the Italian Peroni brand, which had spread largely through word of mouth.